February 15, 2011, my eldest son JM turned 21 years old. 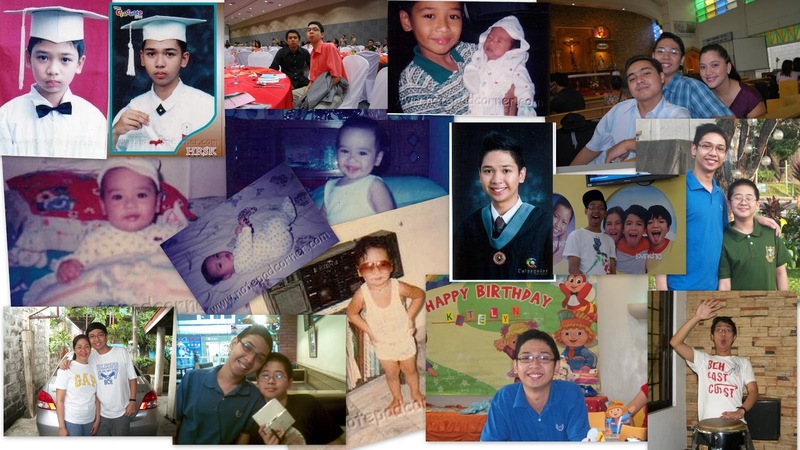 Reminiscing the yesteryears, I am teary eyed while looking at his pictures when he was still very young. I can still remember how I felt when I gave birth to him, the happiness, the excitement and the fear of being a first time mom. JM is an introvert, he is the shy type. Through years of encouragement and full support he learned to come out of his shell. He is so sweet and intelligent like his younger brother. Being responsible is one of his inherent traits that I am so proud of. He personally helps in the family business without being told. He immediately applied for a job after he had graduated the B.S. IT (Bachelor of Science in Information Technology) course last May 2010, and luckily he was immediately hired too. He always prioritizes our family. He told me that he has his time table, the reason why he is not yet into a relationship. I smiled and felt relieved when I heard him say that, for I am not yet ready to have a daughter-inlaw (lol). He even helps us in paying the monthly house bills from his salary. He treats us to dine out occasionally. He is very close to his only brother Yahmir, and he spoils him a lot. Now that he’s already a full adult, I can say that all my hardships raising him (he is stubborn as well) had been well compensated, for I brought up a good man. There’s nothing more that I could ask for! To you my son JM, I would like you to know that we are very proud of you! Always bear in mind that we (Dad, Yahmir and Mom) are always here for you. We love you very much! May your dreams and endeavours come true! All the best! Happy Birthday! parang kailan lang ah, bilis talag ng panahon, ngayun yuppy na (young professional) tama ba! Thank you very much mom. Thank you for all the lessons and all the things that you and dad had taught and given me. I greatly appreciate all of your efforts, i will not be who i am today without your help. I love you Mom, Dad and Yahmir! Awww, this is a sweet post. Parent's are always proud when their children reach their goals in their lives. Thanks to parents like you who's ever supportive and very loving. The three year-old is hyper, the girl acts like she is twenty and she loves "bug girl" stuff like make-up. I have been trying to think of a game all three kids can play together, but I have no idea. I am babysitting all of them again tonight, and I need an activity other than watching movies.HELP!